With relations between Britain and Russia in severe crisis, the timing of a Russian company’s efforts to raise billions on the London Stock Exchange couldn’t be worse. Greg Barker (right). Wikimedia, Creative Commons 2.0. The network of embedded Russian business interests with direct connections to the City of London’s markets will make it difficult for the UK government to deliver effective financial sanctions against the Kremlin or associates of President Vladimir Putin. With Theresa May replaying the role of ‘iron lady’ and lining up the United Nations, Nato, the European Union and the Trump White House to back the UK’s anticipated punitive response for the nerve agent attack in Salisbury, firms officially listed in London run by oligarchs with close links to Putin are expecting a rough ride. The decision of the UK government, so far, to expel 23 Russian diplomats, along with some flight checks and the suspension of high-level bilateral contacts, is being seen as an opening move rather than the final package of sanctions. Russian-owned companies, especially those with chequered international reputations, which have created a veneer of boardroom respectability by employing “puppet” executives from within the UK financial establishment, are understood to have hired expensive reputation-rescue specialists experienced in crisis-management. Their strategy? Survive whatever happens next. One firm in the firing line is the En+ Group. 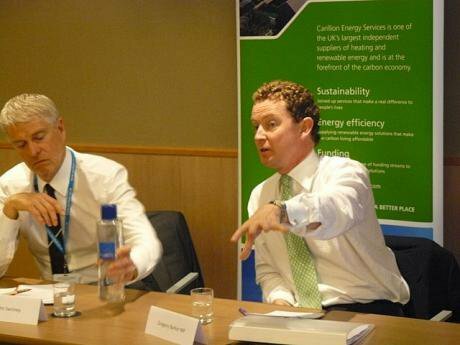 Well before the attack on the former Russian double agent and his daughter, investors in the Russian energy company, En+, were increasingly questioning the leadership of its non-executive chairman, the former UK energy and climate change minister, Lord Barker. En+ Group is owned by Oleg Deripaska, one of Putin’s inner-circle of favoured businessmen and perhaps best known in the UK for hosting meetings with both George Osborne and Peter Mandleson on his yacht in 2008. Deripaska’s company, listed on the London Stock Exchange (LSE), will formally have a new president this week when Deripaska steps down. He is replaced by the company’s former CEO, and deputy, Maxim Sokov. 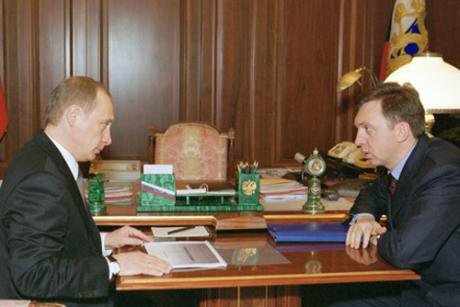 Deripaska will remain as a non-executive director. Although Greg Barker, a former adviser to George Osborne when he was Chancellor of the Exchequer, described the new internal appointments as business-as-usual, the “management changes” are anything but routine. The initial ultimatums to Russia over the poisoning scandal issued by Downing Street, and Moscow’s dismissal of any UK threat, simply piles up the boardroom pressure. Barker was appointed last year, according to insiders, to help give Deripaska’s company a House-of-Lords respectability. Before his political career, Barker worked for Sibneft, an oil company owned by oligarchs Roman Abramovich and Boris Berezofsky. He stepped down as an MP in 2015 and now sits in the Lords. He retains close links to David Cameron and George Osborne, now editor of the London Evening Standard newspaper. Sokov described the appointment of Lord Barker in October last year as reinforcing "En+ Group's commitment to best standards of corporate governance." Why did En+ need Lord Barker of Battle? The answer is simple enough: En+ wanted access to London’s money markets, and a British lord looked better as the front man on a prospectus than a Russian oligarch (Deripaska), who is banned from entry to the United States because of allegations of his connections to organised crime. Deripaska has denied that this is the reason he wasn’t granted a visa. Deripaska is also the target of new corruption allegations made by the Russian opposition politician, Alexey Navalny. His documented financial connections to the former Trump campaign manager, Paul Manafort - who recently pleaded not-guilty to money-laundering charges – are being investigated in the US by Robert Mueller, the head of the Special Counsel probe examining Russian interference in the 2016 United States presidential election. And at the beginning of this year, Deripaska’s name was included in a US Treasury list of oligarchs with close links to the Kremlin. Sanctions against those on the “Putin list” remain a possibility. Market analysts in London raised private concerns that there was a serious name-brand risk for any company associated with Deripaska. Lord Mandelson’s Global Counsel firm is reported to have been hired to advise En+ on its climate change policy. However the issue of Deripaska’s ownership and his links to Putin are now – after the Salisbury attack – significantly larger problems for any corporate PR strategy. Global Counsel has unofficially insisted that Peter Mandelson will not be working directly on the En+ account. Those who are have their hands full. UK corporate governance rules make it clear that “directors should lead from the top” to ensure good standards permeate through a company. Openness and consistency of information given to investors is deemed critical. One senior fund investor, with knowledge of En+’s internal affairs (who asked not to be named), said Barker was essentially a “puppet chairman” and that Deripaska remained in full control. Global Counsel have so far made no formal statement on their work for En+. A Baikal seal on Lake Baikal. By Per Harald Olsen - Own work, CC BY-SA 3.0. The Russian environment protection group, Rivers without Boundaries (RwB), contacted the Financial Conduct Authority (the UK’s financial watchdog ) ahead of the IPO. RwB complained that En+ were describing themselves as a “green business” when hydro-electric projects and at least one coal-fired power station run by En+ were adversely affecting water management systems around Lake Baikal. RwB alleged that En+ were failing to fully comply with ecology guidelines agreed with Unesco’s World Heritage Committee. Water level fluctuations around the lake – which caused destruction of low-lying lake banks, and affected the population of freshwater organisms, birds and other wildlife – were, RwB claimed, being affected by the industrial activity of En+Group in the Baikal region. Barker recently repeated the assurances given by Sokov saying that, under him, the board were “committed to the highest levels of good corporate governance”. An international coalition of environment pressure groups, including RwB, claim that the FCA promised last year that they would look into En+’s disclosures about the environmental impact of their Russian businesses connected to Lake Baikal. The FCA would make no comment on whether or not that promise had been acted on. At the end of last year, in the run up to En+ being listed on the LSE, Barker's appointment was seen as no big deal; a traditional move designed to give establishment respectability to a Stock Exchange listed company. Others saw Barker, the former shadow environment minister who accompanied David Cameron on his husky-dogs trip to the Arctic in 2006, and a Tory MP badly snared in the 2009 expenses scandal, as there to do what Deripaska told him to. openDemocracy tried to contact Lord Barker at his office in parliament and through En+ in Moscow. We received no reply. The En+ Group is one part Rusal, Russia’s largest aluminium producer, and one part En+ Power, which owns some of Russia’s biggest hydro-electric plants. Most of the funds gathered in the share stock sale – some $940m out of the $1.5 billion – paid down a loan from the sanctioned Russian VTB bank. The London Stock Exchange (LSE) was chosen, according to some analysts, because London’s listing rules are less stringent than New York, and because the exercise in some international quarters was seen as simply evading sanctions to channel money to a Russian state bank. Equally important for the LSE, the En+ offer was the first Russian entity to come to the London market since Russia’s military operations in Ukraine and Crimea led to the US and EU imposing sanctions that began in 2014. However, for Russian environmental activists the IPO was less about cash being raised and more about the opportunity to focus on the company’s environmental and social practices and its responsibilities. En+’s hydro-electric assets include dams linked to Lake Baikal, a Unesco world heritage site and the world’s largest lake, holding a fifth of the world’s unfrozen fresh water. Ecologists say the lake’s eco-system is in crisis, with key fish populations falling and evidence that putrid algae is now causing wider damage. Identified culprits for the crisis include over-fishing by commercial fisheries, climate pressure, and waste run-off from increasing levels of tourism. President Putin recently visited the lake and said the extremely high pollution levels needed action, and that preservation was now a government priority. “Baikal belongs to the entire planet” Putin claimed. However the Russian president’s track record on ensuring that industrial plants near the lake behave responsibly remains uneven. En+’s Angara Cascade hydro-electric plant depends on water flowing out of Lake Baikal. The Baikalsk pulp and paper mill, once owned by Deripaska, is now closed. Along with the Irkutsk dam, these are industrial developments recognised as causing the greatest degradation of the lake. The United Nations formally recognised that water management was critical to the lake’s survival and notified the Russian government it had concerns about how fluctuations of the lake’s maximum and minimum water levels were being ignored. The En+ Group were accused of failing to have a long-term environmental plan that put ecology before profit. En+ called Simonov’s criticism of the environmental record “false”. A company statement said that all applicable regulations had been complied with. Last month, En+ invited international banks to pitch for the sale of $1 billion worth of shares in the Deripaska company. For any chairman, let alone one taking orders from a Russian oligarch, the share sale will be difficult to navigate. US banks, given Deripaska’s name on the “Putin list”, are said to be ultra-careful and hesitant about the potential risks of association. The nerve-agent attack in Wiltshire, and the UK’s response, only adds to the uncertainty. Despite his new role as a mere EN+ director, Deripaska still owns 76 percent of the company, and 48 percent of Rusal. In November of last year, ahead of the LSE listings, the net debt of En+ was $13 billion. That was reduced by almost a billion with the loan repayment to VTB. What happens now, and what form the high-stakes diplomatic and financial battle takes between Moscow and London, is expected to have a direct effect on the UK’s markets at a time when they can least afford to have any global company like En +, Russian or not, left out in the cold. In Britain, Russian oligarchs – and their money – have been welcomed with almost unquestioning open arms. The poisoning of Sergei and Yulia Skripal will test if that welcome remains unconditional.